Congratulations to all for doing a wonderful job ! 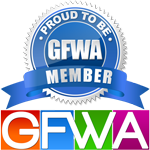 We are beginning to see impact of our forum and association GFWA both on HUDA and builders. It is just a beginning and we will continue to monitor it. We will make sure that whatever Mr. A.Sreenivasan has said is achieved ! Also, builders should honor committments that they made to us when selling residential units to us. As members of our forum are spread across all over India (and even entire world ! ), there is a constant need to interact with other members and communicate. Sometimes, there are meetings getting planned on a short notice, conference calls getting planned, important announcements to be circulated, cancellation or some change in timings have to be informed to members. Members are traveling, working in office, unable to check internet or engaged in some other work and sometimes miss the important events or announcements. For convenience of all forum members, we have now taken a decision to send Bulk SMS for important annoucements and eventds. These SMSes may be received in your mobile from name LM-myfbd. Please do not delete this SMS and read what is contained in it. This may contain an important event or announcement. Please act on it and afterwards you can delete. 1. We are in compliance with existing laws of India. 2. SMS delivery is not guaranteed. Phones with DND on may not receive these SMSes. 3. We request members to subscribe to e-mail notifications and keep on visiting/contributing to forums. Forums only work when people participate. Thanks a lot to GFWA executive membes Ajay, Manish, Seema and Vineet for giving suggestions and helping in implementing this feature. As always, appreciations to Jayanta for runnning and managing this wonderful forum. Comments/Suggestions are welcome. Please reply to this thread ! Please send bulk sms for Friday meeting. Cheapest SMS Gateway with Reliable SMS Gateways and APIs,Bulk SMS is dissemination of large number of SMS messages for delivery to mobile phone terminals. It is used by media companies,organizations,banks to promote their business, bulk SMS can be purchased in bulk so it become cheaper than regular SMS from your phone.One can send SMS from SMS Gateway, SMS Web Pannel or Toll Free SMS Module.